The world’s biggest bike show is in full swing in Las Vegas, and our dangerous duo of tech ed, Paul Burwell, and snapper, Roo Fowler, are there to bring you the full scoop. 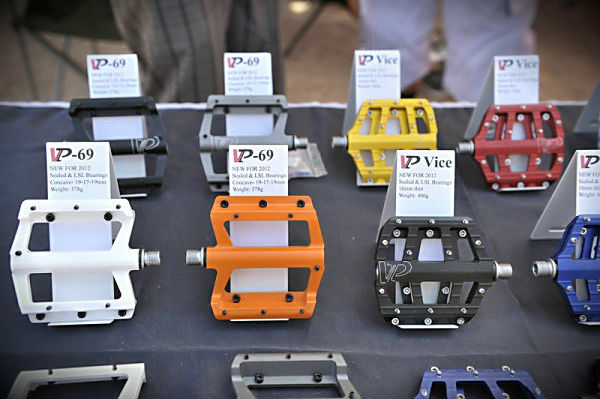 Here’s a run down on what’s caught their eye so far at Interbike. Is it raining out? 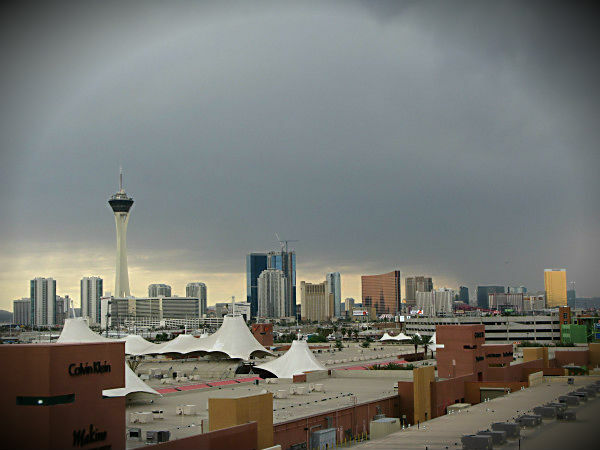 PB and Roo stepped off the plane wearing sombreros and tanks tops, only to be greeted by unusually stormy skies in Vegas. 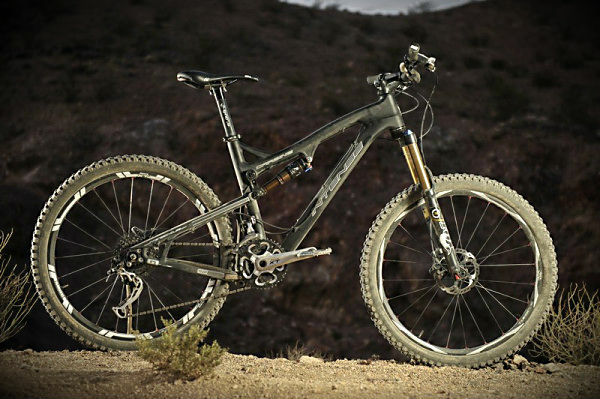 Commencal’s new Meta AM looks like one of 2012’s most exciting bikes. But the French brand has cleverly adapted the Contact System Evo to also work on a longer travel 160mm Meta SX and the 120mm travel Meta SL shown here. 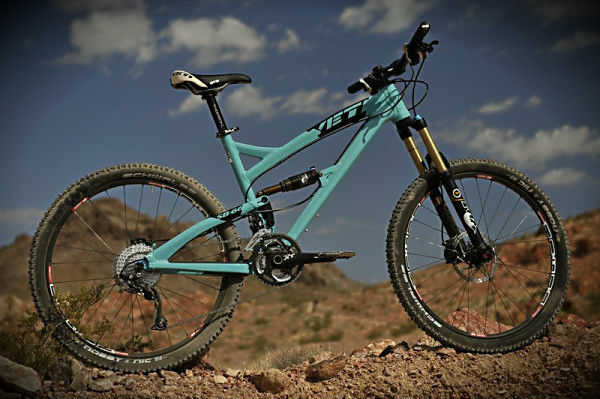 Yeti’s SB66 uses an eccentric pivot to manipulate the axle path. The 150mm travel frame gets a 142/12mm back end and an externally splined BB shell to accept either ISCG 03 or 05 chain guides. We’ll have a first look in the mag soon. Brand new is the carbon version of the SB66. And quite lovely it looks too. Claimed weight for frame and shock is around the 6lb mark. 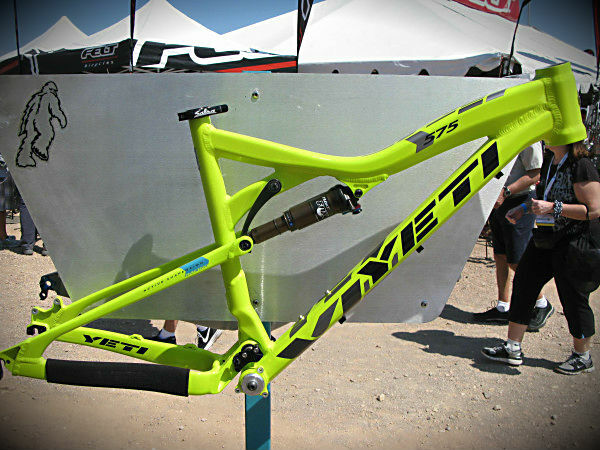 Yeti’s venerable 575 frame is updated with a full aluminium rear triangle and inset headset for 2012. Head angle with a 150mm fork is 68 degree. 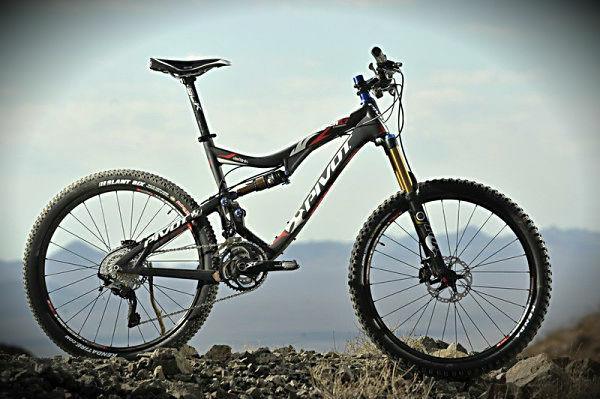 The DW-Link equipped Pivot Mach 5.7 is now available in carbon. It’s 145mm of travel and claimed weight is 5.25lb. 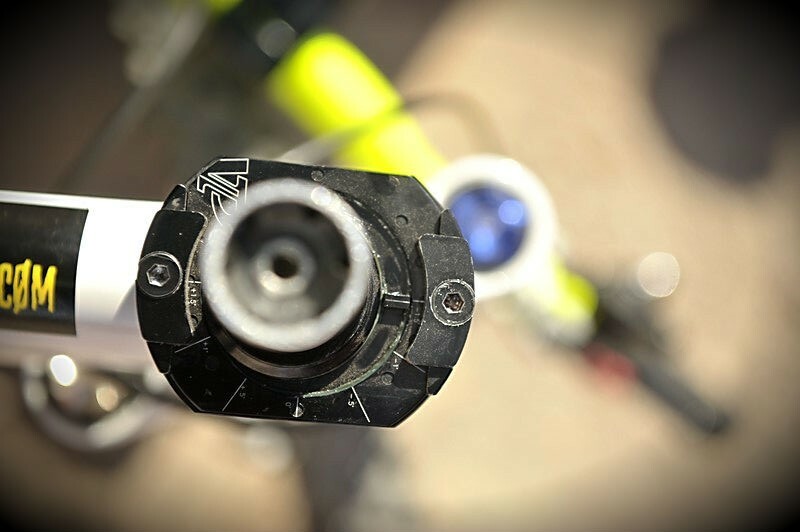 There’s a tapered head tube, routing for a remote height adjust seatpost and a down tube protector. 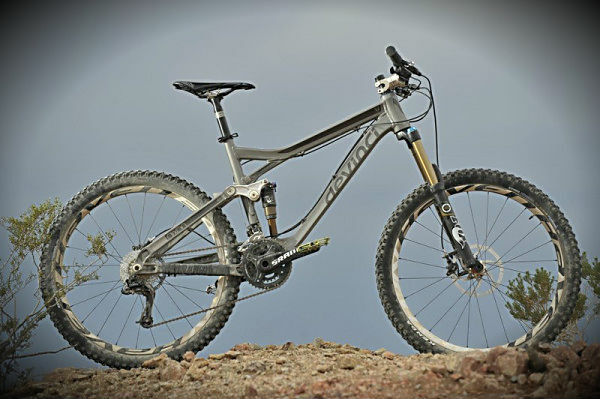 Intense has never really produced a bad looking bike, and the new Carbine is no exception. 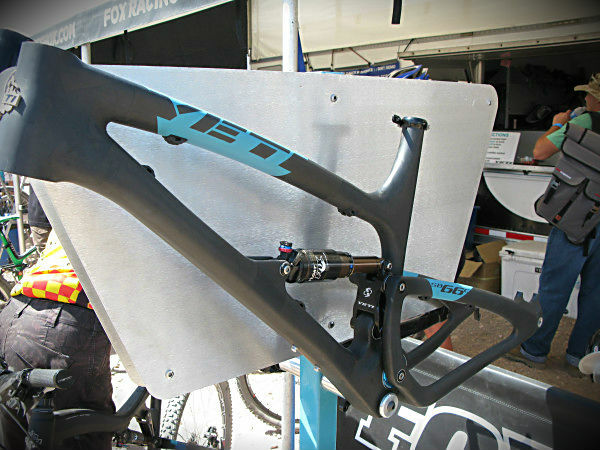 The carbon VPP frame has adjustable travel between 140-152mm and claimed weight is 5.5lb. There’s a tapered head tube, down tube protector and modular dropout system. Sadly, no ISCG tabs though. We loved the Devinci Dixon when we tested it in the September issue, but found ourselves frustrated at the lack of ISCG tabs and wishing for a slightly longer front centre. Happy days, as the 2012 model gets ISCG mounts! Unfortunatley it doesn’t look like the front centre/down tubes will get any longer for next year. 2013 perhaps? 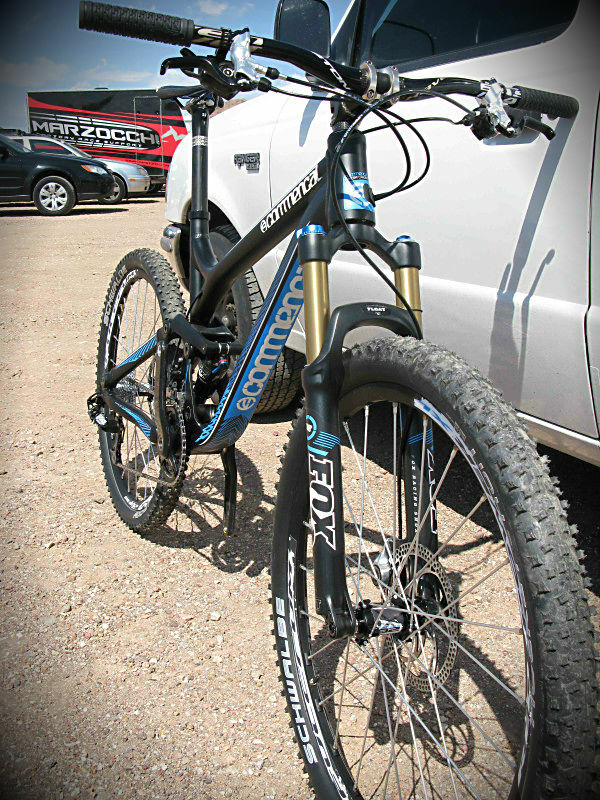 Santa Cruz’ Blur TRC has been around a few months now, but still turns heads wherever it goes. 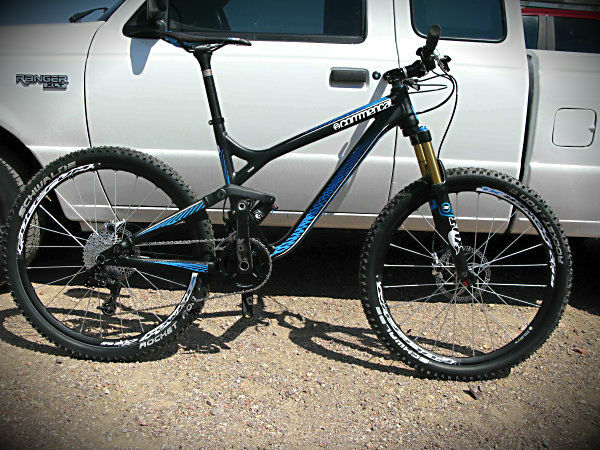 Look out for a first ride on the 127mm carbon ripper soon. VP’s adjustable Varial headset lets you tune your head angle by 1.5 degrees without removing the cups. It’s a bit agricultural, but production versions should be more refined. Apparently it was designed by John Whyte, of Whyte Bikes and Marin fame. 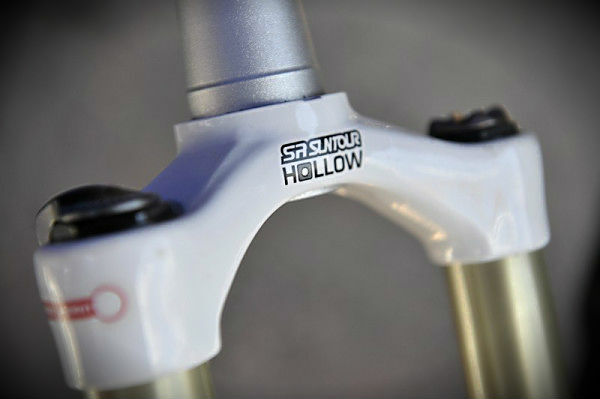 Suntour’s Epicon fork gets a new hollow crown and cartridge damper. We’ve got the 2011 version on test in the October issue, on sale September 21. 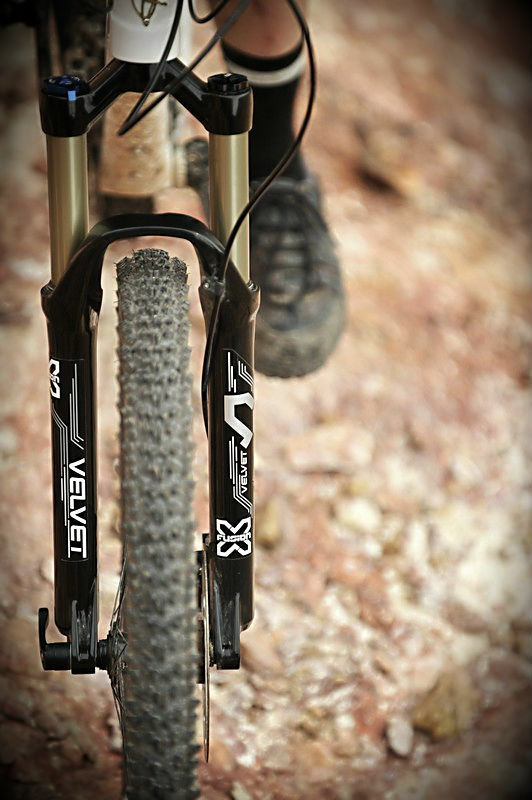 X-Fusion plugs a big hole in its range by upping travel on the 2012 Velvet air fork to 140mm. We’ll be getting one to test soon. 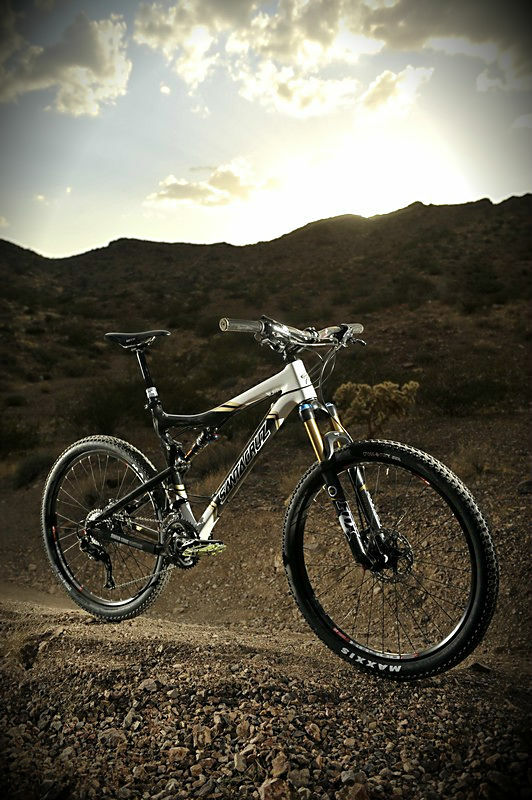 Word is a 34mm stanchion trail fork is to be unveiled very soon. VP’s 69 flattie is a wafer-like 6.5mm thin.